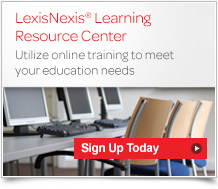 Access best practice tips and strategies from LexisNexis® to help protect your account login information. Inform your administrator or contact Customer Support immediately if you believe your User Name or Password have been compromised. Reduce your risk of being victimized by e-mail scams with these helpful guidelines for protecting your organization, including instructions on how to enable IP restrictions for your Accurint account, and general security tips on fraudster tactics and malware.